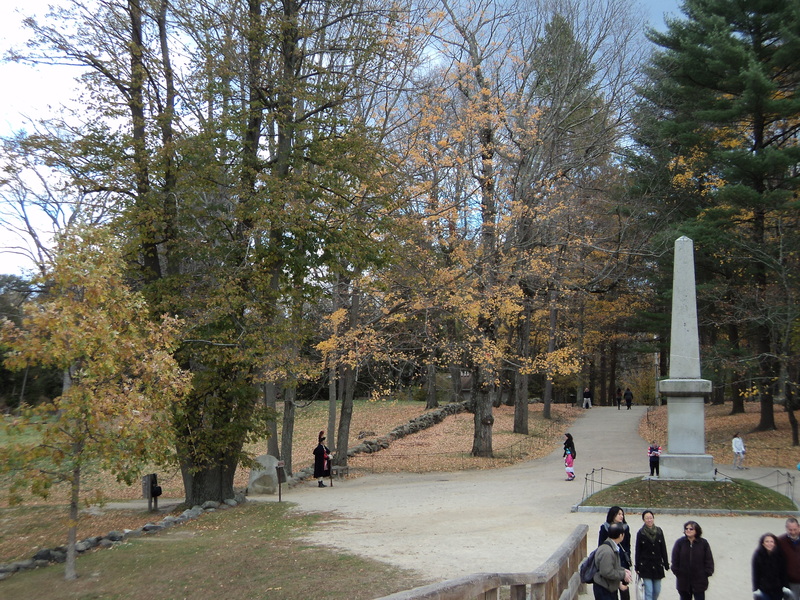 In Concord, Massachusetts we have many famous people who have lived and died here-Louisa May Alcott, Ralph Waldo Emerson,Henry David Thoreau,Nathaniel Hawthorne to name a few. 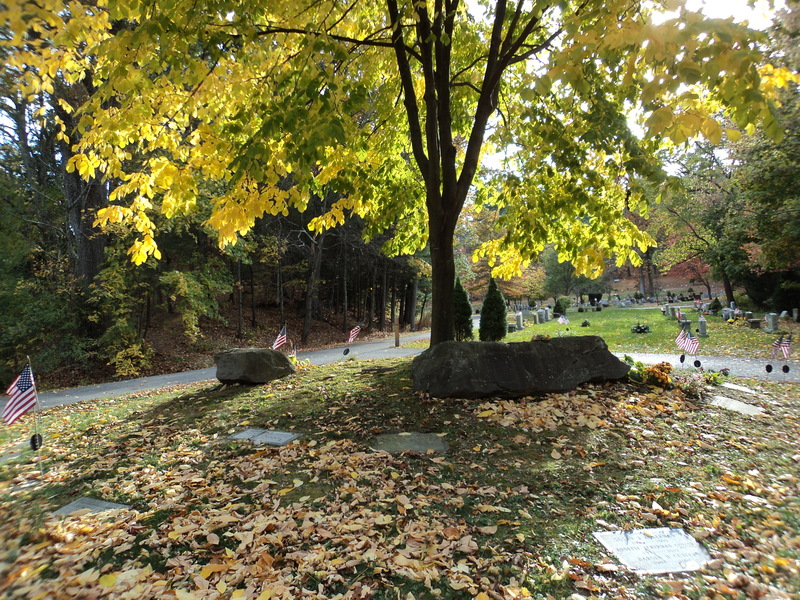 Most people don’t know that Daniel Chester French, although he didn’t live here as long as in NYC, decided to be buried here and spoke candidly all his life of his love for Concord. In 1871, young 21 year old Dan was asked to design a monument to commemorate the first battle of the American Revolution. Cast in bronze from melted down Civil War cannon,the Minute Man was unveiled at the centennial celebration of April 19,1875 with President Grant,Henry Wadsworth Longfellow and Ralph Waldo Emerson in attendance. It has been noted that May Alcott,the youngest of the Alcott girls and an artist, and Ralph Waldo Emerson were instrumental in getting Dan to propose his idea to the town meeting for approval of the Minute Man statue. 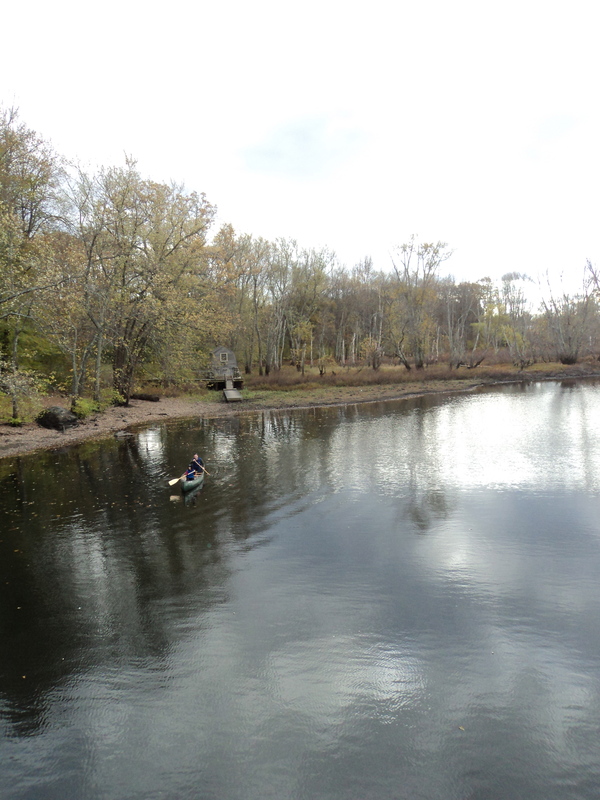 It is near the North Bridge in Concord. There are many local stories about him making the monument in his bedroom until his mother made him move it all to the shed! After the success of the Minute Man,Dan went on to carve a statue of his dear friend, Ralph Waldo Emerson in 1879 and of course he reached the height of his career with the seated Abraham Lincoln at the Lincoln Memorial in Washington DC. 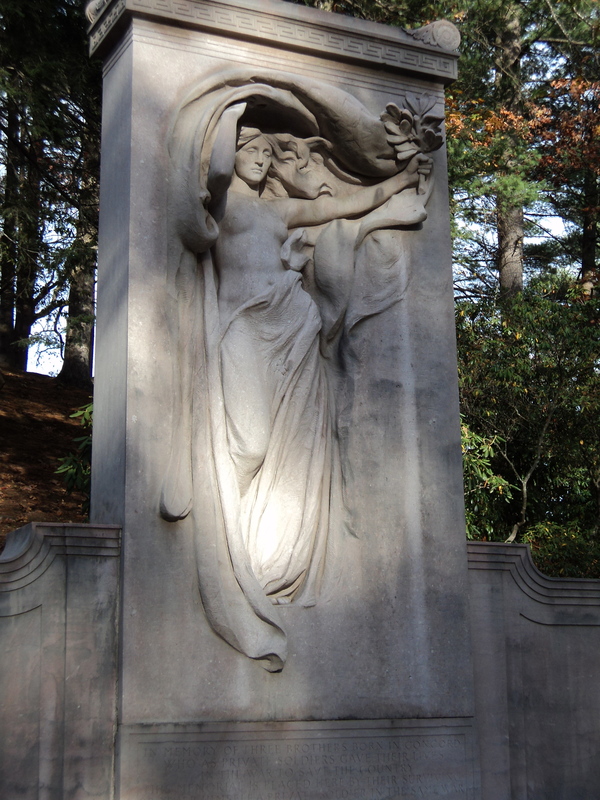 The Melvin Memorial(pictured) in Sleepy Hollow Cemetery is considered to be one of French’s masterpieces. James Melvin commissioned the work to honor his 3 brothers who died in the Civil War. Instead of a realistic portrait, French chose instead to create an allegorical representation of grief,”Mourning Glory”. 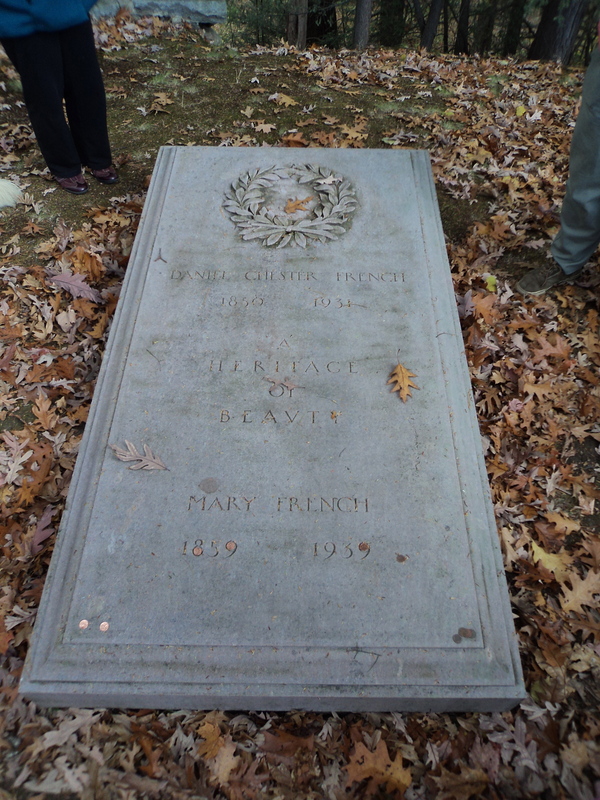 French died in 1931 and is buried in Sleepy Hollow in Concord.His simple gravestone(pictured) is inscribed “A Heritage of Beauty”. 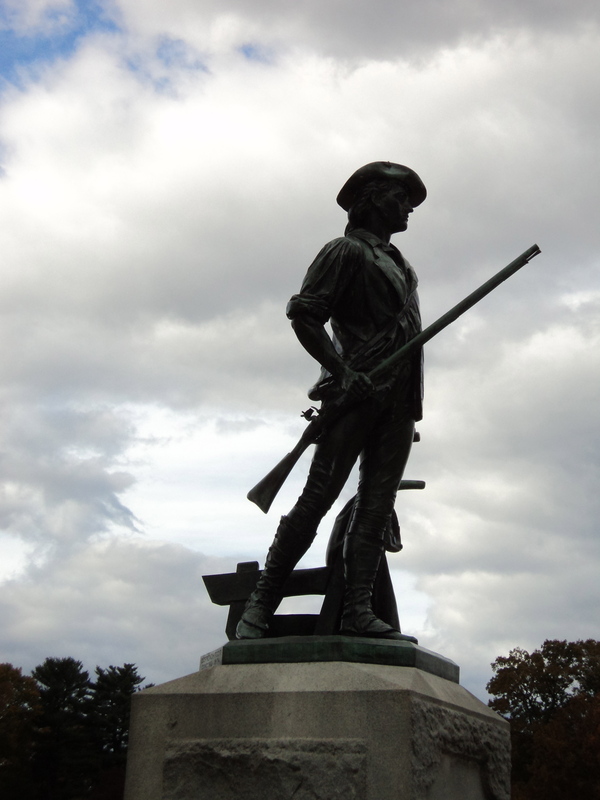 From October 11-March 23 2014 there is an exhibit of Daniel Chester French at the Concord Museum. 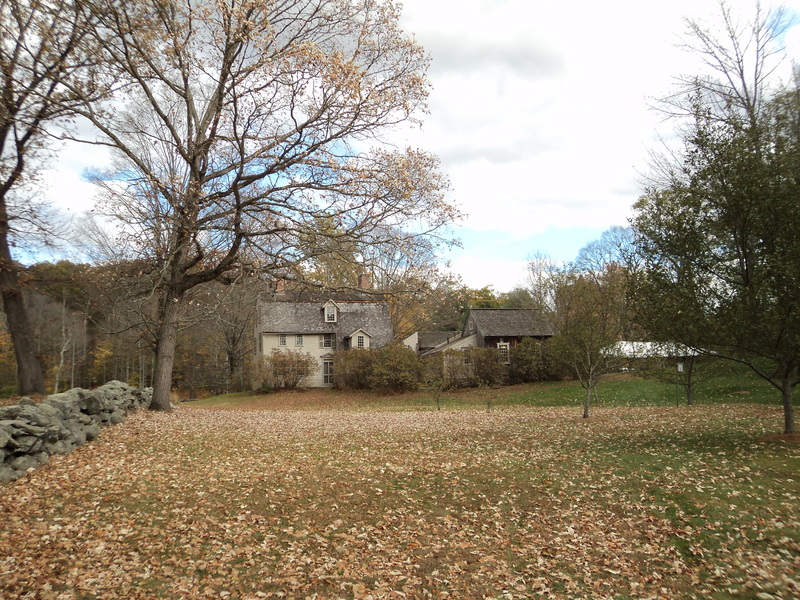 This entry was posted in Boston, gardens, history, interesting ideas, Manhattan, Massachusetts, travel, Uncategorized and tagged American Revolution, Concord Massachusetts, Daniel Chester French, Lincoln Memorial, Louisa May Alcott, Massachusetts, Ralph Waldo Emerson, Sleepy Hollow Cemetery, travel. Bookmark the permalink.